Following recent natural and man-made disasters such as 9/11, Hurricane Katrina, and other floods and fires, the federal government has increased its focus on emergency preparedness. Federal regulations – 42 C.F.R. § 483.75(m) – require that Medicare- and Medicaid-certified nursing homes have written emergency plans and provide employees with emergency preparedness training. The Centers for Medicare & Medicaid Services (CMS) provided information to health care providers, including nursing homes, about emergency preparedness in Survey and Certification Letter S&C-08-01, issued on October 24, 2007. This guidance provides answers to frequently asked questions and resources on emergency preparedness planning resources. Collaborate with local emergency management agency: Work with local emergency management agencies to ensure the development of an effective emergency management plan. Analyze each hazard: Analyze the specific vulnerabilities of the facility and determine actions for each identified hazard. Decision criteria for executing plan: Include factors to consider when deciding whether to evacuate and shelter in place. Determine decision-maker, and chain of command. Develop shelter-in-place plan: Provide for various emergency measures, such as assessing whether the facility can withstand the threat, measures to secure the building, at least seven days worth of resources such as food and power, and security plan. Develop evacuation plan: Consider factors such as pre-determined evacuation locations, evacuation routes, and adequate food supply and logistical support. Communication infrastructure contingency: Develop communication plan in the event of telephone failures, such as walkie-talkies and ham radios. Concluding that current emergency preparedness regulatory requirements are not comprehensive enough to address the complexities of actual emergencies, CMS issued a proposed rule that 17 different providers and suppliers must meet to participate in the Medicare and Medicaid programs. “Medicare and Medicaid Programs; Emergency Preparedness Requirements for Medicare and Medicaid Participating Providers and Suppliers,” 78 Fed. Reg. 79081 (Dec. 27, 2013). The proposed rule addresses the following gaps that CMS believes exist in the current regulations: (1) communication to coordinate with other systems of care with local jurisdictions; (2) contingency planning; and (3) personnel training. Because long-term care facilities are unique among other health care providers as many of the residents can be expected to have long-term or extended stays, the proposed rule also requires these facilities to develop an emergency preparedness communication plan. The emergency preparedness communication plan would include a means of providing information about the general condition and location of residents under the facility’s care. Finally, the proposed rule for long-term care facilities also requires emergency plans to utilize an “all-hazards” approach, which, in an emergency situation, would include a directive to account for missing residents. In light of the new checklist and CMS’ recent focus on emergency preparedness, health care providers, including nursing homes, should evaluate their emergency preparedness plans. In addition, facilities should look out for new emergency preparedness regulations. On Jan. 31, the Office of Inspector General (OIG) released its 2014 Work Plan, in which it announces and discusses the projects it intends to focus on in the coming year. I plan to do a number of posts on the Work Plan, but I want to start with an industry that receives surprisingly little attention in the document – nursing homes. OIG only announced five areas of focus with respect to nursing homes. The first concerns Medicare Part A billing. OIG noted that it previously observed skilled nursing facilities (SNFs) increasingly billing for higher levels of therapy even though beneficiary characteristics remained the same; it also explained that SNFs had a high (25 percent) billing error rate. There are two main takeaways from this. Nursing homes need to really examine their billing practices and procedures and ask themselves if there are any systems or protocols that might improve accuracy. And, it’s my experience that a high care level claim isn’t so much unnecessary on its face, it’s that the provider doesn’t keep or record enough information to prove that it was. Therefore, insofar as high care level services are being billed, SNFs might think about expanding their recordkeeping practices to ensure that enough documentation is present to justify the claim. OIG’s second area of focus involves questionable billing practices for nursing homes submitting Medicare Part B claims. The agency specifically references stays during which benefits are exhausted or the three-day prior inpatient requirement is not met. Obviously, that doesn’t give us much to go on. The third area of focus is a little more specific, though probably inapplicable to most providers. OIG indicates that it intends to focus on state agency verification of deficiency corrections. Federal regulation requires nursing homes cited for deficiencies to provide state regulators with a plan of correction to explain how they will correct the problems. The Centers for Medicare & Medicaid Services (CMS) State Operations Manual further requires states to verify that the cited deficiencies have been corrected. In the Working Plan, OIG cautioned that “one State survey agency did not always verify that nursing homes corrected deficiencies.” It’s unclear which state that was, or whether it was only the one state. Nonetheless, I expect most states will crack down on post-correction verification. This has two related ramifications. 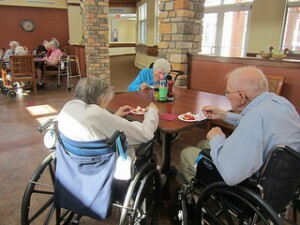 When devising a plan of correction, it is essential that nursing homes be realistic. Chances are, state surveyors will put nursing homes’ feet to the fire to make sure they take the steps they say they will. Also, nursing homes should make sure they follow through and do what they say they will on the timetable promised. OIG’s fourth targeted area is interesting. It wants to evaluate the results of the CMS National Background Check Program (NBCP). This program essentially gives states money at a 3:1 federal-state ratio (not to exceed $3 million) to help providers run comprehensive background checks on their employees. States that participate in this program include Alaska, California, Connecticut, Delaware, Florida, Illinois, Kentucky, Missouri, New Mexico, North Carolina, Oklahoma, Rhode Island, and Utah as does the District of Columbia. It’s interesting that the list of states is so small. CMS has handed out tens of millions of dollars over the past several years, and most states – including Colorado – already require background checks for employees of long-term care (LTC) facilities. The NBCP requires a more comprehensive background check system, but that seems like a lot of money to leave on the table for something states will do most of anyway. In any event, I wouldn’t be surprised to see Colorado and a bunch of other states opt in to the NBCP or CMS make it mandatory. The fifth area of focus involves Medicare patient hospital admissions as a result of manageable or preventable conditions at nursing facilities. This was the subject of a 2013 OIG Report. It’s hard to come up with a good recommendation for this one. On the one hand, it’s probably a good thing when an LTC facility and a doctor err on the side of caution and hospitalize an ill or injured resident – to do otherwise would risk a treatable condition deteriorating. On the other hand, though, if CMS or OIG is going to start tracking hospitalizations on a facility-by-facility basis and scrutinizing those facilities that have too high of a rate, erring on the side of caution may have real regulatory consequences. I suppose the best thing to say is this is an issue that needs to be closely monitored going forward. Easy access to video technology and media reports of abuse and neglect in nursing homes may lead family members to place surveillance cameras in the rooms of their loved ones. Only Oklahoma, pursuant to Okla. Stat. § 63-1-1953.6, New Mexico, and Texas explicitly permit a nursing home resident or the resident’s legal representative to place surveillance cameras in a resident’s room. These statutes allow monitoring only if certain requirements are met, such as obtaining consent from the resident or the resident’s representative, and from the resident’s roommate. The majority of states (and the federal government) do not have laws explicitly permitting or forbidding resident monitoring. 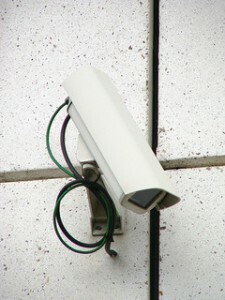 In the absence of state statutory guidance, if a nursing home decides to allow a family member to video-record a resident, the nursing home should consider the following issues to ensure the recording does not violate a resident’s privacy and rights under the Health Insurance Portability and Accountability Act (HIPAA), or violate any state laws, such as invasion of privacy, eavesdropping, or wiretapping. Consent: Has the resident, if competent, consented to the recording? If the resident is not competent, has the resident’s medical power of attorney or guardian consented? Nursing homes should consider how to document consent, such as in the resident’s chart or on a consent form. Failure to obtain consent could result in violation of the resident’s privacy and HIPAA rights. Roommate: If the resident has a roommate, the roommate likely will end up on the video. Facilities should consider whether to obtain proper consent from the roommate, as discussed above, or only allow video-recording in the absence of any roommate. Visitors: Facilities should consider whether visitors should be notified that video-recording is occurring to avoid violating the privacy rights of visitors, who could include other facility residents. For example, the facility could post a sign on the resident’s door indicating that recording is in progress. Other residents: Facilities should consider how the video-recording device is aimed and whether it records sound or images from the hallway or resident care areas. Again, recording video of the hallway or other resident care areas could violate the privacy and HIPAA rights of other residents. While it is easier to aim the video-recording device into the room to avoid hallway images, it is difficult to ensure that hallway conversations are not recorded. Thus, facilities should consider whether to forbid any audio on the video. Violation of specific state statutes: Depending upon the state, video-recording could result in criminal invasion of privacy or a violation of eavesdropping or wiretapping statutes. For example, in Colorado a person commits criminal invasion of privacy under C.R.S. § 18-7-801 if that person knowingly observes or takes a photograph (including video) of another person’s “intimate parts” without consent where the person photographed has a reasonable expectation of privacy. Also in Colorado, a violation of C.R.S. § 18-9-304, the eavesdropping statute, can occur if a person not visibly present during a conversation or discussion knowingly overhears or records the conversation or discussion without the consent of at least one of the principal parties to the conversation. Thus, if the resident does not consent or if another resident is picked up on the audio portion of the video without consent, this could constitute illegal eavesdropping. Nursing homes should examine specific state statutes relating to invasion of privacy, eavesdropping, and wiretapping. Facility administrators should carefully consider the risks of video-recording and address the concerns listed above before allowing it to occur. While this discussion focused on nursing homes, it applies equally to other health care facilities such as assisted living facilities and hospitals. The Centers for Medicare & Medicaid Services (CMS) periodically issues guidance on federal nursing home regulations in the form of a memorandum to state survey agency directors. The survey and certification memos can assist nursing homes in survey preparation and other regulatory compliance efforts. Some of the important 2013 CMS guidance is summarized below. Cardiopulmonary Resuscitation (CPR): Nursing homes should examine their CPR policy for compliance with recent CMS guidance. S&C Memorandum, No. 14-01-NH. According to CMS, nursing homes cannot implement facilitywide no-CPR policies. Facility policy should specifically direct staff to initiate CPR when cardiac arrest occurs for residents who have requested CPR in their advance directives; who have not formulated an advance directive; who do not have a valid do not resuscitate (DNR) order; or who do not show American Heart Association (AHA) signs of clinical death as defined in the AHA Guidelines for CPR and Emergency Cardiovascular Care. In addition, facility policy should not limit staff to calling 911 when cardiac arrest occurs. Before emergency medical services arrive, nursing homes must provide basic life support, including CPR, to a resident experiencing cardiac arrest in accordance with an advance directive, or if there is no advance directive or DNR order. Although CMS acknowledges that CPR is ineffective in the elderly nursing home population, CMS notes the changing demographics in nursing homes. 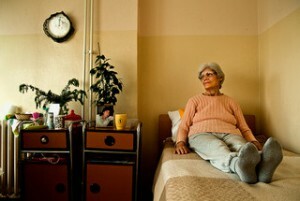 In 2011, approximately one in seven nursing home residents were under age 65, many of whom were short-stay residents. In addition, nursing home residents have become more ethnically diverse, which emphasizes the need for full implementation of advance directives and individualized care, CMS says. The guidance states that nursing homes must ensure that CPR-certified staff is available at all times to provide CPR when needed. However, CMS does not address which agencies can certify nursing home staff in CPR. Because CMS refers to the AHA’s standards, it is likely that CMS would deem AHA CPR certification acceptable. Access and Visitation Rights: CMS has issued a reminder concerning the right of nursing home residents to receive visitors. S&C Memorandum No. 13-42-NH. Nursing homes must provide 24-hour access to all individuals visiting with the resident’s consent. However, certain visitors can be subject to reasonable restrictions designed to protect the security of all residents in the facility, such as denying access to individuals who engage in disruptive behavior. Because CMS is reminding surveyors to ask during resident and family interviews if they understand that visitors are allowed 24 hours per day, nursing homes should review their visitation policies, as well as the implementation of these policies, to ensure that visits are not being limited or restricted against residents’ wishes, unless there is a reasonable restriction. Naso-Gastric Tubes: CMS has revised surveyor guidance relating to naso-gastric tubes by expanding and clarifying the definition of naso-gastric tubes. S&C Memorandum No. 13-17-NH. Since CMS issued the regulation relating to naso-gastric tubes, found at 42 C.F.R. § 483.25(g), their use has become extremely rare, while the use of other types of enteral feeding tubes has become prominent. The surveyor guidance expands the definition of naso-gastric tubes to include any feeding tube used to provide enteral nutrition to a resident by bypassing oral intake, such as a gastrostomy tube, jejunostomy tube, and a transgastric jejunal feeding tube. Nursing homes should review their policies and procedures to ensure compliance with 42 C.F.R. § 483.25(g) for all residents who receive nutrition other than through oral intake. Dementia Care: CMS has issued surveyor guidance relating to nursing home residents with dementia. S&C Memorandum No. 13-35-NH. The guidance expresses concern about the practice of using psychopharmacological medications to try to address behaviors without first determining whether there is a medical, physical, functional, psychological, emotional, psychiatric, social, or environmental cause. CMS has created surveyor training about behavioral health and dementia care and updated the interpretative guidance in Appendix PP. Based on the increased scrutiny of residents with dementia and the use of medications, nursing homes should review dementia care practices, including ensuring that medications, such as antipsychotics, are being used with adequate rationale. Apparently nursing homes are doing a good job decreasing the use of antipsychotic drugs. Several months after CMS issued its surveyor guidance on dementia care and drug use, it issued a press release stating that new data show that antipsychotic drug use is down in nursing homes nationwide. The data show that nursing homes are using antipsychotic drugs less and pursuing more patient-centered treatment for residents with dementia and other behavioral health issues.